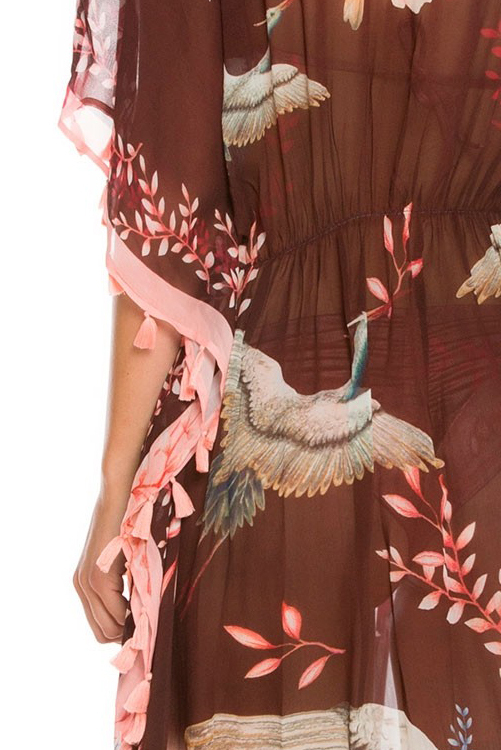 Semi-sheer fabric in a beautiful mix of floral and exotic bird print. Tassel trim detail at sleeves and side slits. Wide sleeves. Maxi length. 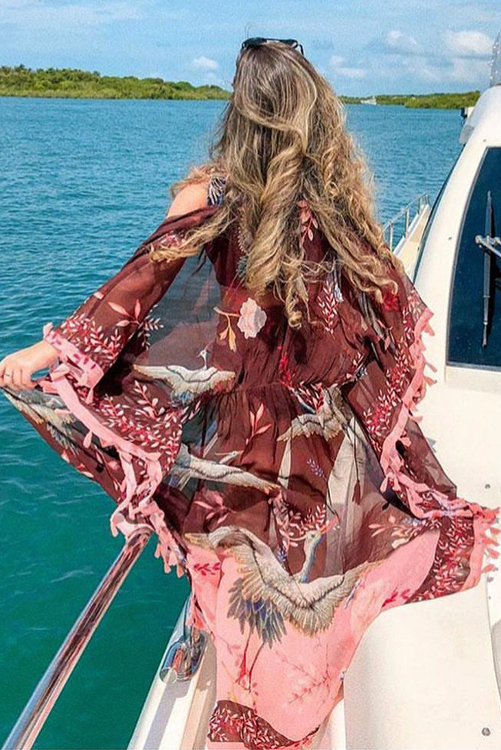 Agua Bendita‘s Sam Aura Tunic Cover Up features one of their more popular cover up designs. 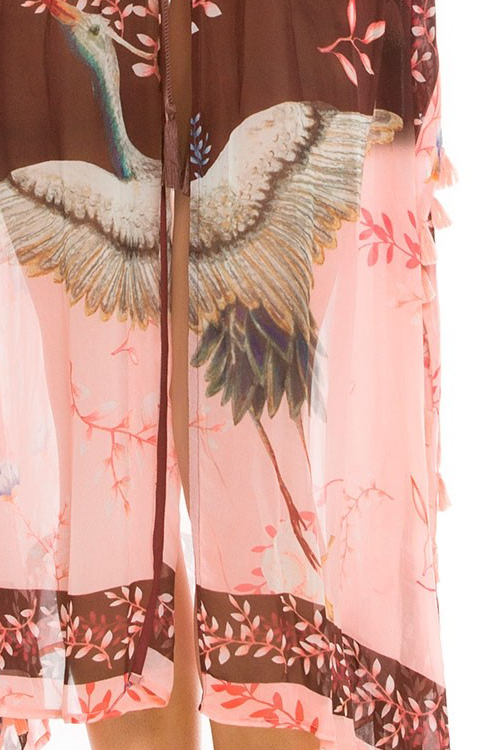 Semi-sheer fabric in a beautiful mix floral and exotic bird print. 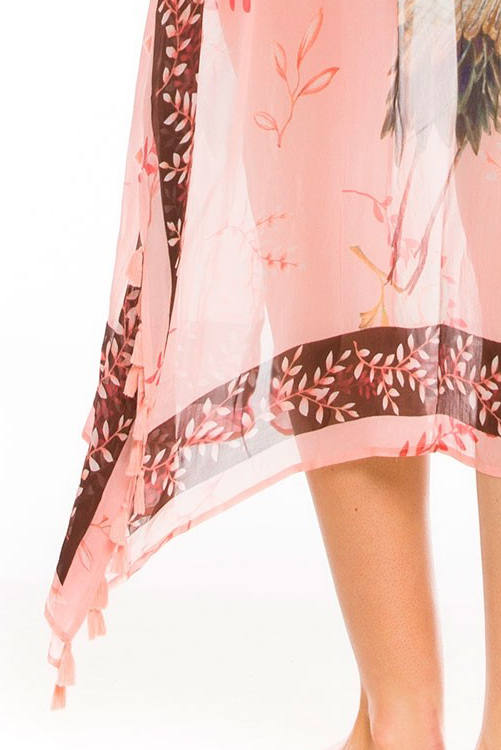 Tassel detail at sleeves as well as slit sides. Maxi length. Optional front tie closure. Flowing, lightweight and cool against your skin. Whether you’re on the beach or lounging by the pool, this will become your favorite cover up. Also in this collection: Mia Aura Palette Top and Lola Aura Palette Bottom.